The first ever Yarndale, the yarn-loving fest organised by Lucy of Attic24 fame, was a bit of a mixed bag of emotions for me. On one hand, it was the first time I'd ever spent a weekend devoted to all things crochet, a nice blend of learning and shopping and an opportunity to take in Skipton, a town I felt like I knew from Lucy's expressive writings and photos on her blog. And whilst I enjoyed my time at Yarndale (see my write up here and here), it wasn't quite all I had hoped for. Luckily, we didn't get caught up in the traffic chaos that many others suffered through, but it was still very crowded in the pens, which made it hard to move through the stalls and get to see all that you wanted to see, and I was also a little disappointed by the variety (or lack of) of products. Whilst Yarndale was honourably focused on promoting small, independent designers, this determination to showcase artisan talents for me meant that all the stalls were very similar; there's only so much variety you can get with handspun yarn or handmade crochet hooks. I've been to other shows, such as the huge Knitting and Stitching Show, and whilst it is full of corporate offerings which may not be to everyones taste, it means in my opinion that there is a greater variety of products available. And beings that the London Knitting and Stitching Show is a mere 2 hours journey compared to the 6-hour marathon we undertook to get across the country to Yorkshire, for the time being I've decided to stick with heading South, to give Yarndale a little time to iron out the creases. All that being said, I'm still in awe of the work that Lucy and the team are undertaking to pull Yarndale together and really feel it will be the event to beat in a few years time. 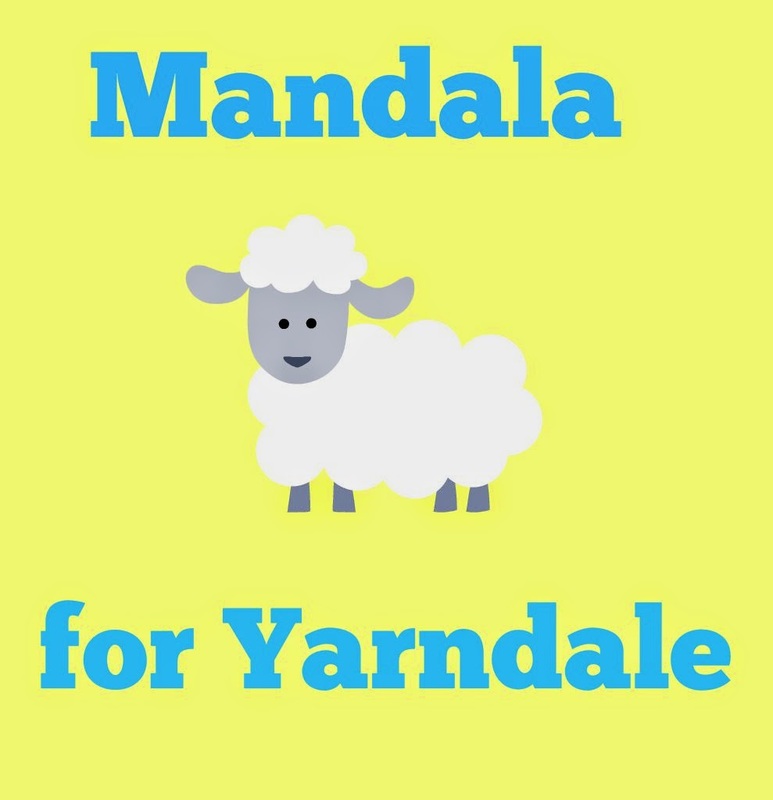 In the meantime, I thought I would help the mandala effort to show my Yarndale support. You can get all details about it from Lucy's website and there is a Pinterest Board showcasing all the mandalas sent in so far. It doesn't like quite as eye-glaringly bright as this in real life I promise! It's just left over yarn from my cotton stash and the design from this free pattern from Moogly. 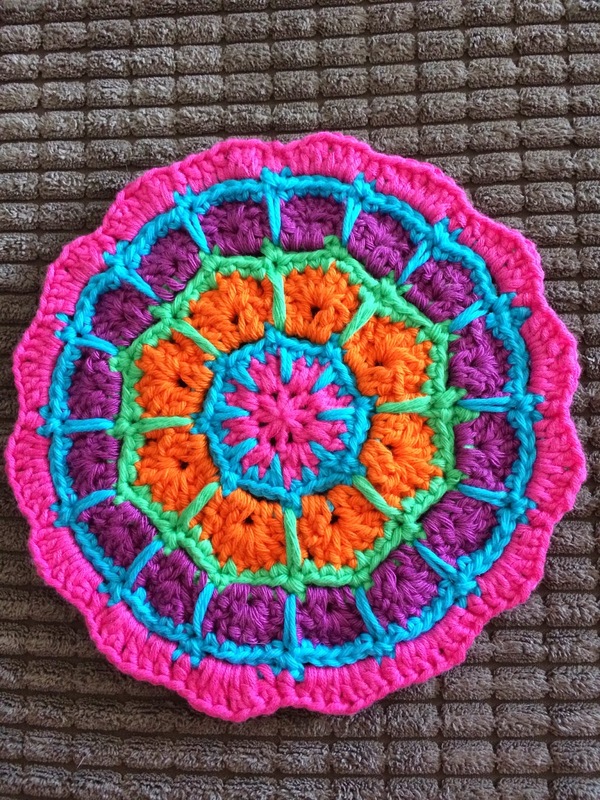 I was a little hesitant at first as mandalas stray dangerously close to the granny square line for me with all the colour changes and chain starts but actually I quite enjoyed making something different for a change. 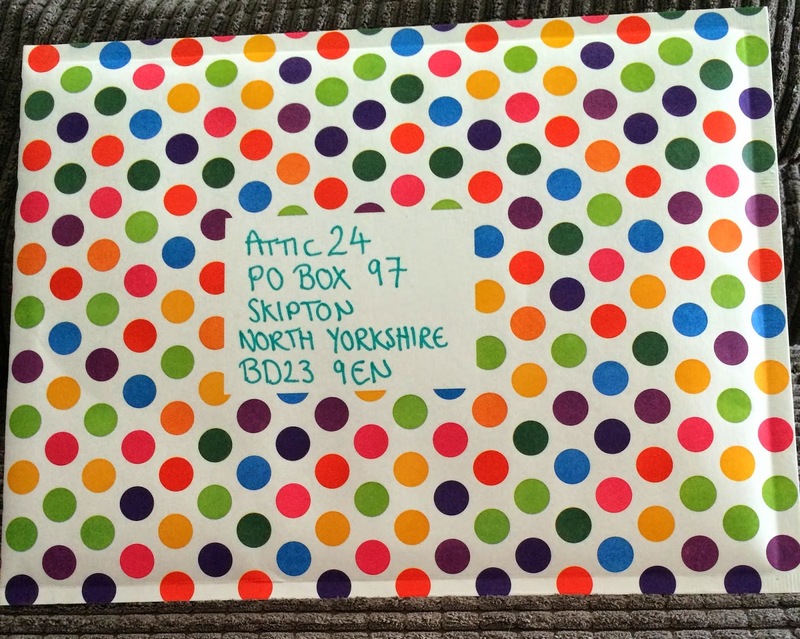 I packaged it up in the envelopes I save for special occasions, and Sas and I walked it down to the post office to send the package on its way. Pretty!! 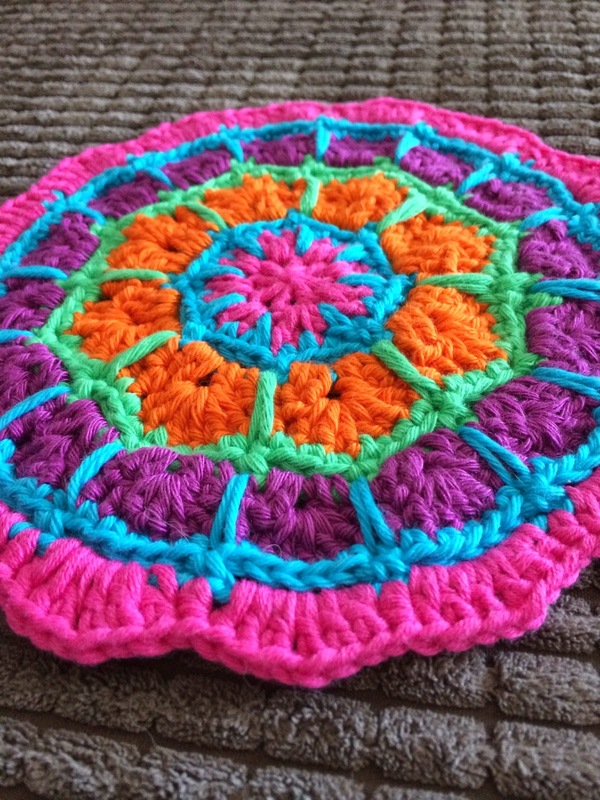 That's a interesting mandala motif - doesn't LOOK like a granny square. I look forward to seeing it pop up on pinterest!